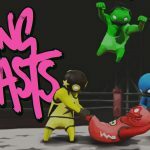 If you’ve been paying attention to the indie game scene over the past few years chances are you’ve heard of Gang Beasts. 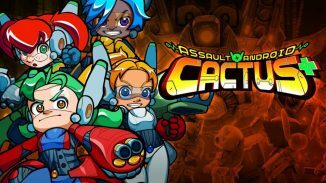 This game has been making the rounds at all kind of trade shows for years now and has been in early access on Steam for just about as long. 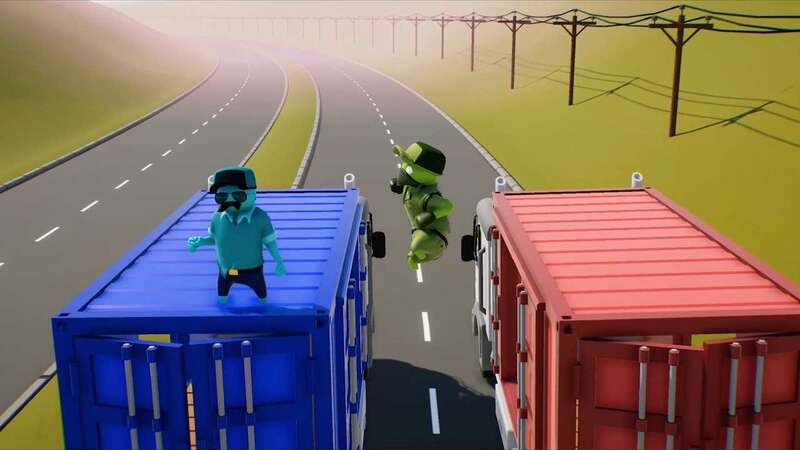 Announced several years ago for the PlayStation 4, Gang Beasts has finally hit the platform in its finished state. So how did the final game turn out on PS4? 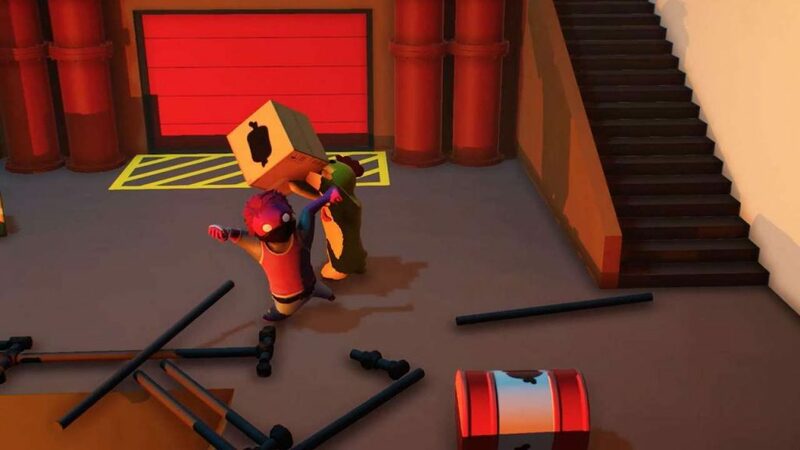 Gang Beasts is best described as a multiplayer beat ’em up where you take control of these strange looking humanoid creatures and try to throw your opponents out of the stage. What makes Gang Beasts really unique though is the physics system it runs on. For controls you have a punch, kick, grab, headbutt, and run button. Now the best way to throw your opponents out of a stage is to knock them out first only things aren’t so simple. Punching and headbutting are the best way but due to the physics system sometimes you land clear knock outs and other times your hits seem like they aren’t doing anything. When you get knocked out you are supposed to mash the buttons to get up faster but it often seemed like the game just did what it wanted to. There are times where my character will only stay knocked out of a couple seconds and then there are other times where it seems like forever before he stands back up. The gameplay system is fun but the lack of information and randomness of the controls did bother me and could easily turn some off of this game. Despite those issues Gang Beasts is a ton of fun and is always great at keeping smiles about. I can’t tell you how much my family and I laughed while playing this game just due to the goofiness of it. For game modes you can pick from a few different options. Melee is the mode I already described where you basically just try to be the last man standing out of the players. Waves mode puts you against non stop waves of AI opponents to see how long you can last. I tried this mode and found it very difficult personally as they send a huge number of AI bots at you early and they showed me no mercy. It’s cool that it’s there as an option but the difficulty of it will keep me from coming back. 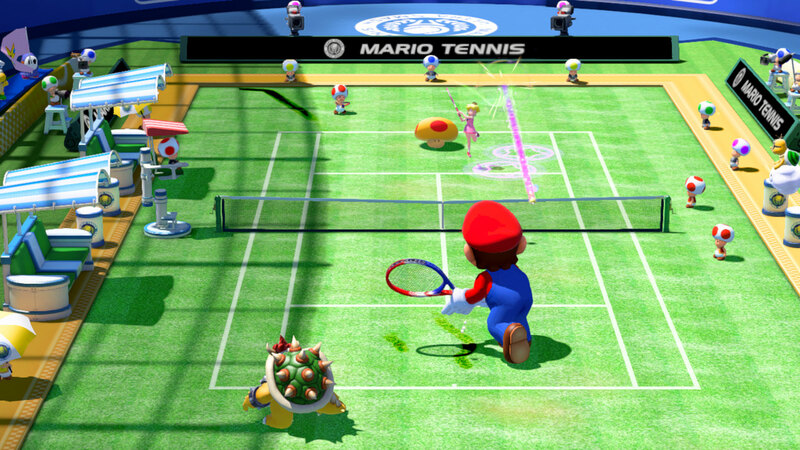 Then you have the Soccer mode where each team tries to move the ball into the others goal. If you have at least 4 players I can see this mode being pretty fun but any less than that and there really is not much point in playing it. All of these modes are playable both locally and online with other players on PSN. 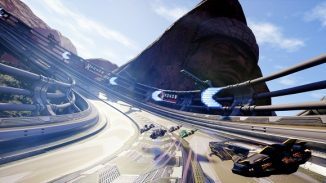 The game did have some server issues at launch but it has received a few patches since which have helped with the connection issues. There are still times where I experienced lag or lost connection for no reason. The online is a fine way to play but not having people beside you talking and laughing does make it a less desirable way to play. I also must warn you if you don’t have friends to play with there isn’t much here for single player content. Yes you can play against bots but it really isn’t meant to be played that way. 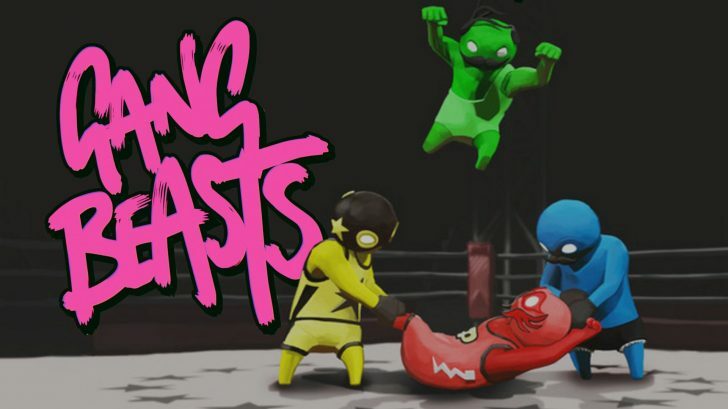 Gang Beasts is best when played in a group. One of the other things I really like about the game is the variety of maps you have to play on. These range from things like a Ferris wheel, a Blimp, elevators, a boxing ring and many more. One of my favorites is a Subway where you can knock your opponent out and then throw him down on the Subway track. If they don’t get off the track quick enough the Subway comes zooming by and takes them with it. Another great map has you fighting it out on top of two semi trucks driving down the road. It’s easy to get thrown off here but what is even worse is if you don’t pay attention the trucks will drive under a sign which will cause you to smack right into and be thrown off if you are up top. I love all the different hazards and way you can kill the other players in Gang Beasts and again it creates plenty of laugh out loud moments. 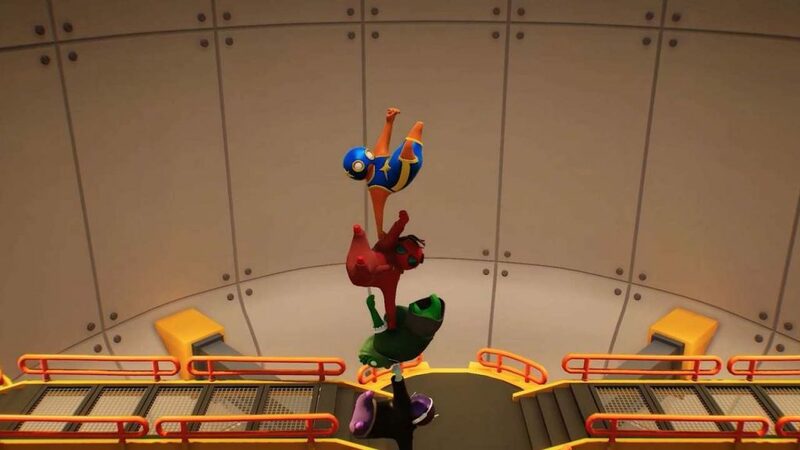 The visuals in Gang Beasts are clean and relatively simple. All of the characters can be customized either with pre set outfits or by mixing and matching your own. There are a ton of options here and even more were added recently in a patch. Things like animal outfits, job outfits and many more are at your disposal. You can also change the color of your character as well. The soundtrack in the game is mostly forgettable but I love the little sounds the characters make. As you play they’ll make these strange little laughs and sounds which makes the gameplay even more enjoyable. The other little sound effects like the sound of punches or headbutts connecting are good and it’s really satisfying to hear that thud sound when one of the other players gets smacked by a road sign. 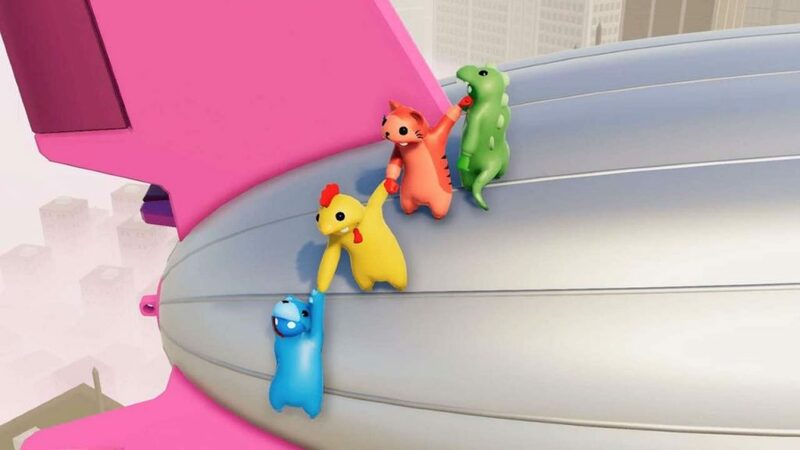 Gang Beasts is one of the best local multiplayer games I’ve played in awhile that’s for sure. While the controls are a little random and the game doesn’t really teach you anything it is still easy for anyone to sit down with it and have a good time. So many random, funny things would always happen every time we played and we always kept coming back for more. Despite some issues Gang Beasts will be staying in my lineup of games to play with my family for some time to come. Gang Beasts is available on PS4 and PC. Reviewed on a PS4 Pro. Review key provided by the publisher. Large Variety of Maps to Play On.